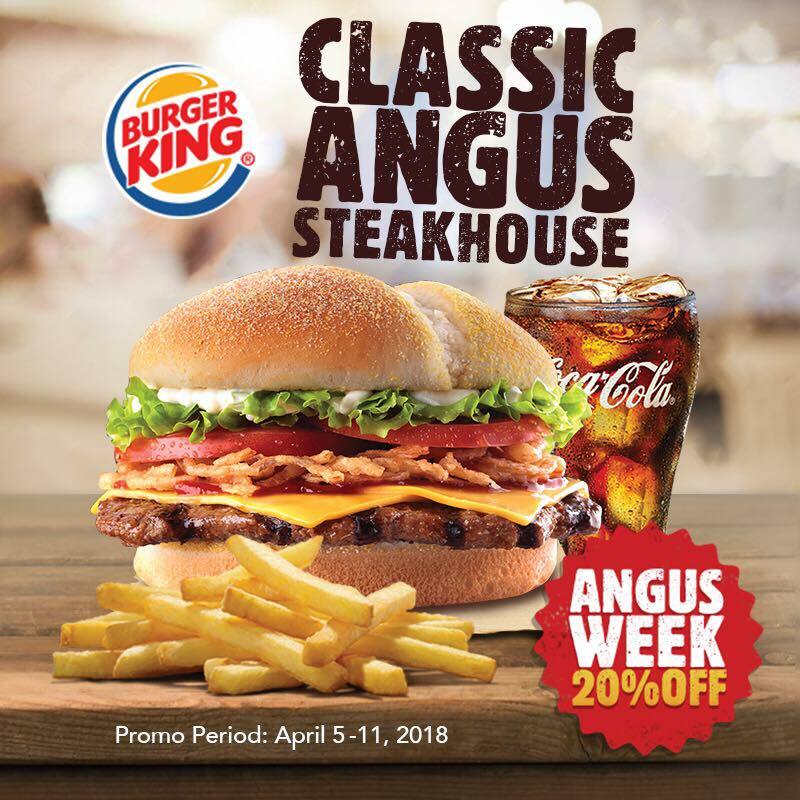 It’s Angus Week at Burger King! Get the Classic Angus Steakhouse Value Meal at 20% OFF from April 5-11, 2018. This promo valid at any BK branch nationwide for dine-in / delivery / drive-thru / takeout.